The Nebraska School for the Deaf was called the “Deaf and Dumb Institute” in the 1910s when this postcard was made. The Nebraska School for the Deaf opened three miles from downtown Omaha in 1869. More than two decades later, the plans for Fontenelle Park were first made, along with a luxurious boulevard leading to it from the old Military Road. That park became home to massive fireworks displays, a rolling golf course, and a massive baseball field that neighbors loved to attend, and sometimes rued. That boulevard became part of a century-long boulevard system for driving pleasure throughout the city. It was 1906 when the home at 3467 North 42nd Street was built a block away from the Nebraska School for the Deaf and four blocks from the Fontenelle Park. Originally 900 square feet, there was also a garage on the lot, which is in the Kenwood Addition. That year, lots in this division were advertised as “close to three streetcar lines,” that cost $50 to $250 total, and were sold for one dollar down, then fifty cents a week until it was paid off. The Fairfax School was a two-room schoolhouse in North Omaha near N. 40th and Pratt Streets. In 1919, the Fairfax School was opened this year North 40th and Pratt Streets, a 7-minute walk from this house. It was a two-room school building with an outhouse that was demolished in 1974. It is likely that children at both addresses would’ve attended here for kindergarten and first grades. Before this neighborhood was developed, there was a 10-room farmhouse at this intersection. By this year, there were only 4.5 acres left in the farm, including fruit and alfalfa. The 9-room house had two barns and a cow, and went on sale for $10,000. That house was gone by the 1940s. In the first decade of the 20th century, Edward and Fannie Hewett bought a house at 3467 North 42nd Street. Their daughter Fannie was born at home in 1912, but unfortunately her father died that year. These are the North 42nd Street streetcar tracks in the early 1920s. The Druid Hill School was built nearby at 4020 North 30th Street in 1917 for students from first through eighth grades. Fannie probably went to school there. In 1920, a streetcar started going up North 45th from Military to Bedford started providing nearby access for residents of these addresses. 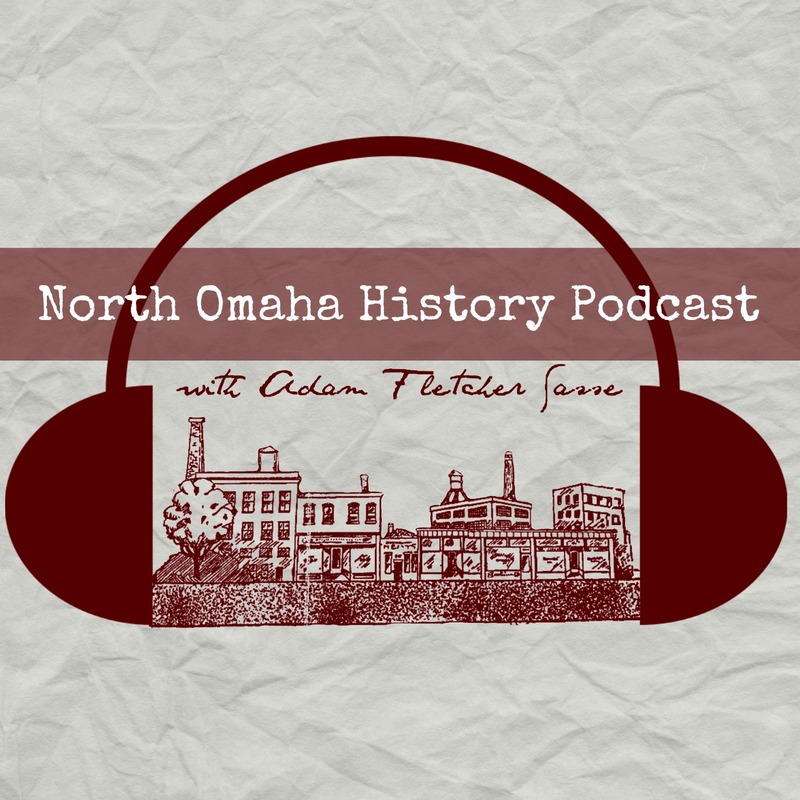 North High opened at 36th Street and Ames in 1924, and if Fannie graduated, that’s probably where she graduated from. Her mother, Sarah Parinthia Ford McCain (1844-1930) died at the house at age 86 and took over the house. In 1932, Fannie entered a gardening competition for her garden at the house. McCain was one of the original settlers in Kearney, Nebraska, and a nearby community called Pleasanton. She was involved in the notorious “Pleasant Valley feud” that resulted in a death and bad feelings for decades. As a mother, McCain had nine children, including sons Dode McCain, ?? Hazard, Dell McCain, ?? Loretto, and the late Oran J. McCain (1867-1929); as well as daughters Mrs. Maude Wittlake, Mrs. Charles Croston Hazard, Mrs. W.B. Rains, Mrs. Fannie Hewett. Mother McCain was buried at West Lawn Cemetery in Omaha. This is the intersection of N. 42nd and Binney in 1941. Its three blocks away from the house. A few years after her mother died, Fannie started renting out rooms in the house. In 1934, a 2-year-old named Arthur Hubbard was reported as having broke his arm at the house. Ross Hewett lived there, as well as Richard Saling. In 1945, Fannie Hewett was ordered by a judge to get rid of two horses she kept in the garage at the house. Twelve neighbors testified that she boarded the horses, as well as hosting a mule “whose braying was out of this world” for a long-time. During that same era, the Bedford Market opened nearby at North 45th and Bedford. People who lived at 3467 North 42nd would’ve gotten groceries there or at N 42nd and Ames. Adams Park opened seven blocks away in 1948. In 1955, the 42nd Street streetcar stopped runny, with buses taking over many routes citywide, but not this one initially. However, there has been a busline through this neighborhood since the 1950s. Gladys Croston, who was related to Sarah McCain, lived at 3467 N 42nd St in 1964. That same year, a ‘gory’ effigy that was ketchup-smeared with a knife in its back was dumped on the porch of the house. Gladys Croston told police she’d been targeted by vandals several times recently. Another relative, Isabelle Croston, lived at house for a long time. In 1981, Gladys Croston and her sister, Grace Kersey, reported they’d been mugged by young people outside the house.